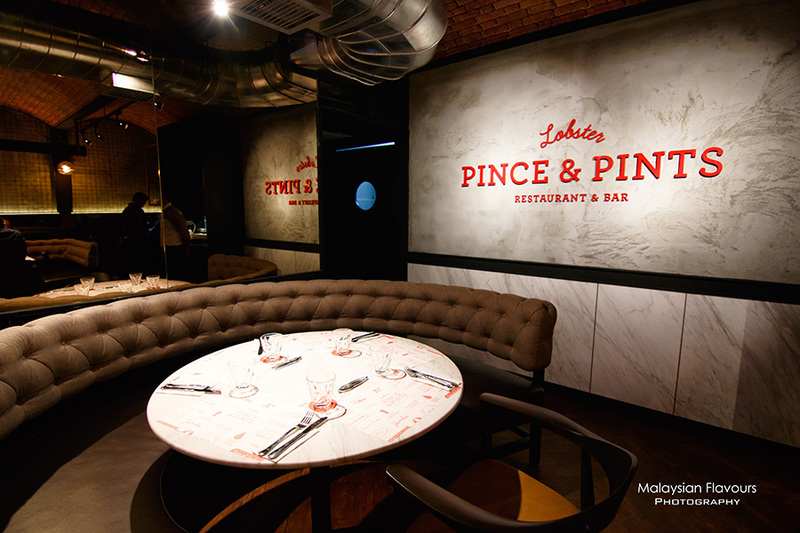 With Pince & Pints Lobster Restaurant and Bar opening in Bangsar on 9th this month, the list for “KL October new restaurants” is clearly, going to be more noteworthy, more exciting. 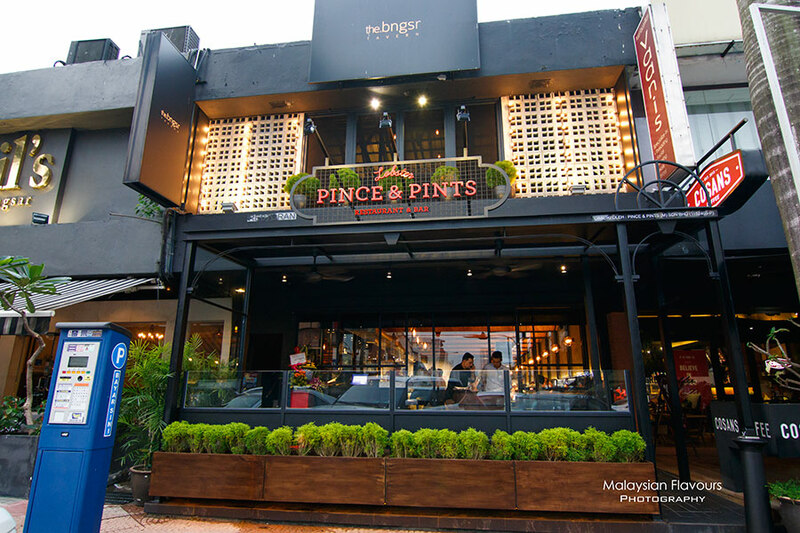 In other words, Pince & Pints is potential in becoming one of the must-visit restaurants in Klang Valley, driving lobsters fever across the town. #lobsterlove. So, gentle reminder – book ahead if you wish to visit. 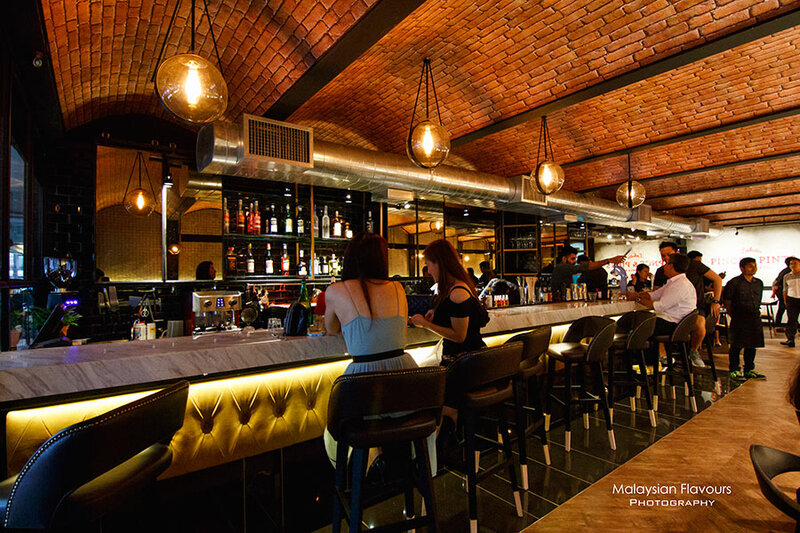 Hailed from Singapore, Pince & Pints receives positive feedback from many of the guests since its opening in July last year at 32, Duxton Road. Queue is long, waiting can go up to 2 hours before you can sit down and indulge in the ultimate sweet, juicy wild-caught lobster air-flown directly from the Atlantic Cost. Now, at Pince & Pints first outlet in Malaysia, which shares the same lot no. of 32 at Jalan Telawi 5, Bangsar, we expect the same thing to happen again. There are only 4 items on Pince & Pints menu- Lobster Roll, Chili Lobter, Lobster Noodles and Grilled/Steamed Live Whole Lobster. Each priced at RM158. 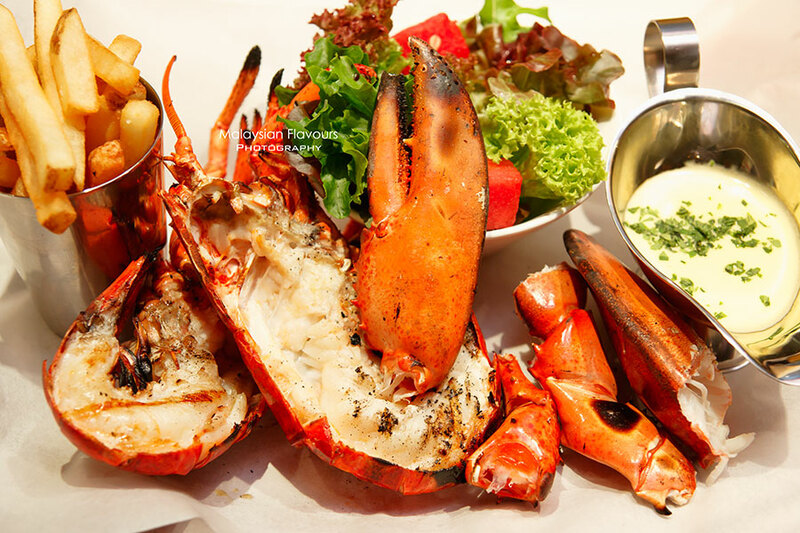 It is all about lobster and no, you will not get any other dish here, be it Buffalo Wings or Caesar Salad or Aglio Olio Pasta. Direct, straight forward, one page. Think about lobster, you think about Pince & Pints. Just come with happy stomach + “I want to eat lobster” mood + enough cash to foot the bill. 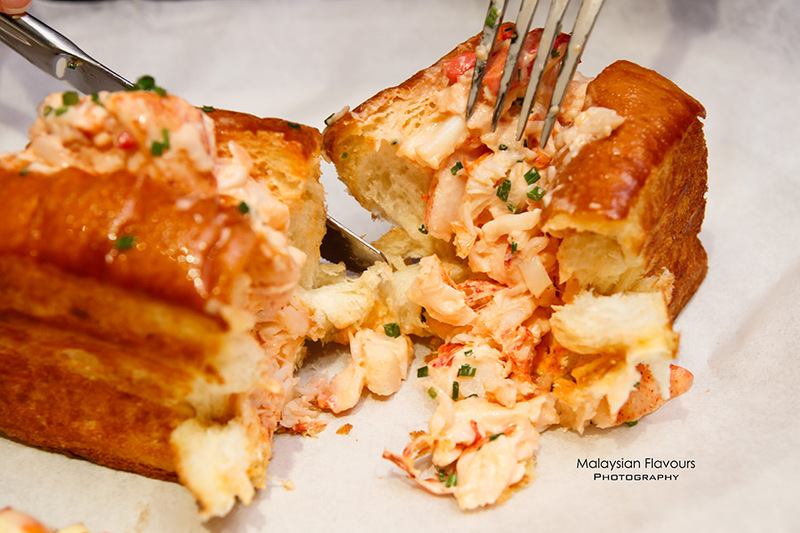 We’ve been hearing a lot about this legendary Lobster Roll that stuffed in lobster meat within a long sweet bun. In case you are wondering how much filling you get from the roll, it is actually the same amount of lobster meat as the other 3 dishes, just deshelled, easier to eat, helmed with chewy soft, fresh fluffiness from buttered bread roll. Summergirl favourite dish in Pince & Pints. 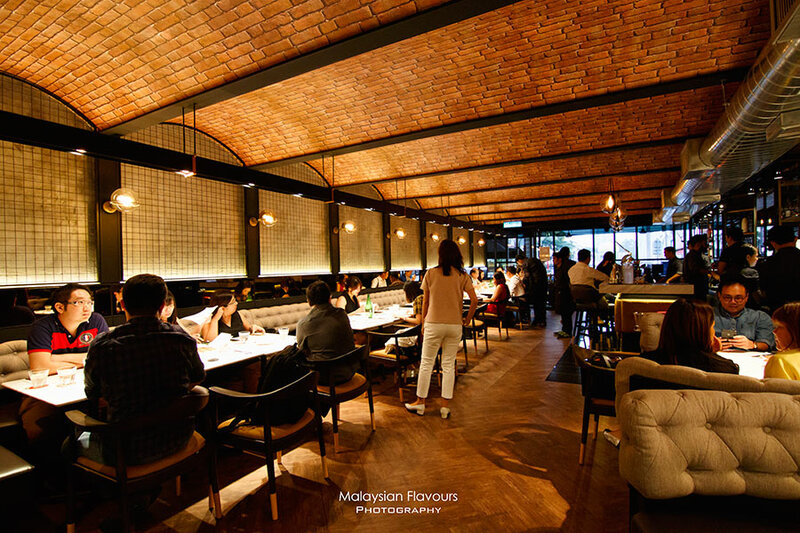 Singapore is always famous for Chili Crab, and Pince & Pints creatively incorporating what the nation prides at in their menu, there born – Chili Lobster. Surprisingly, this is the dish we love the most! While lobster’s itself is no doubt fresh, bouncy and meaty, what makes the dish worthwhile is the sauce. Tomato-ish sweet with long, mild spicy aftertaste. Summergirl is literally “drinking” it like soup, while our friends order few helpings of deep fried mantau to dip with the gravy. 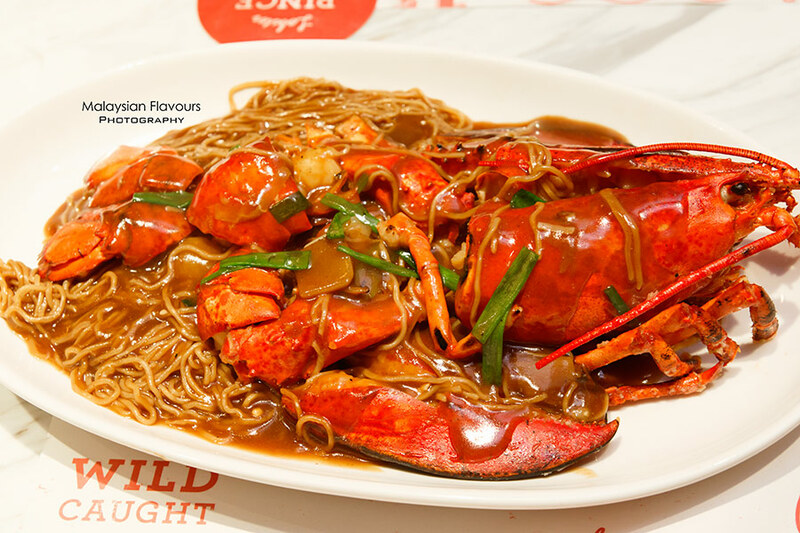 Coming to third dish – Lobster Noodles, available only in Pince & Pints Malaysia. The taste is akin to local Sang Har Meen, but noodles is thicker, softer in texture. The gravy itself is a tad too gooey and salty to our liking, but still acceptable overall. Looking back at the menu and dining culture of Malaysians who love to have noodles or rice during lunch and dinner, introducing Lobster Noodles may save the day of diners who can’t skip carbs for dinner, since there’s no rice dishes available in Pince & Pints. Lobster Noodles is the only choice if you aren’t into buns or mantau. Last but not least, presents to you Pince & Pints Live Whole Lobster! Have it grilled or steamed. 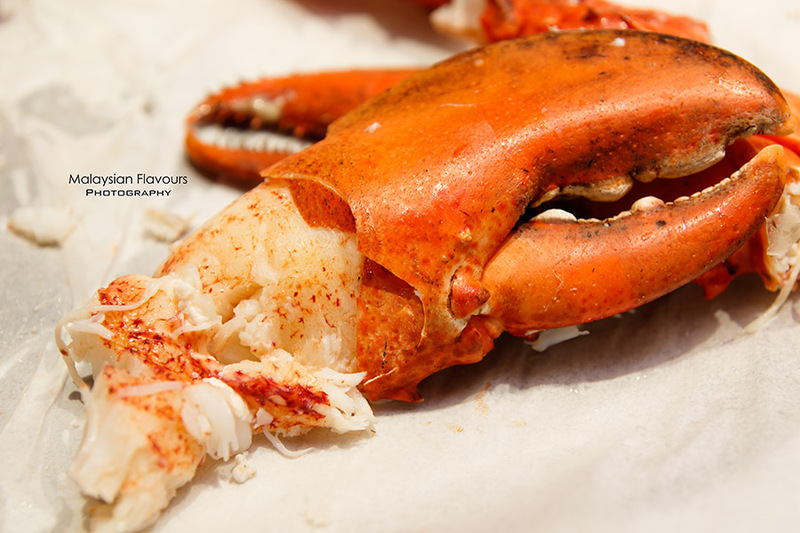 Both are equally good hence it depends on personal preference whether you like the lobster to be laced with a touch of smokiness from grilling process; or steamed to lock in the most original sweetness of the lobster. 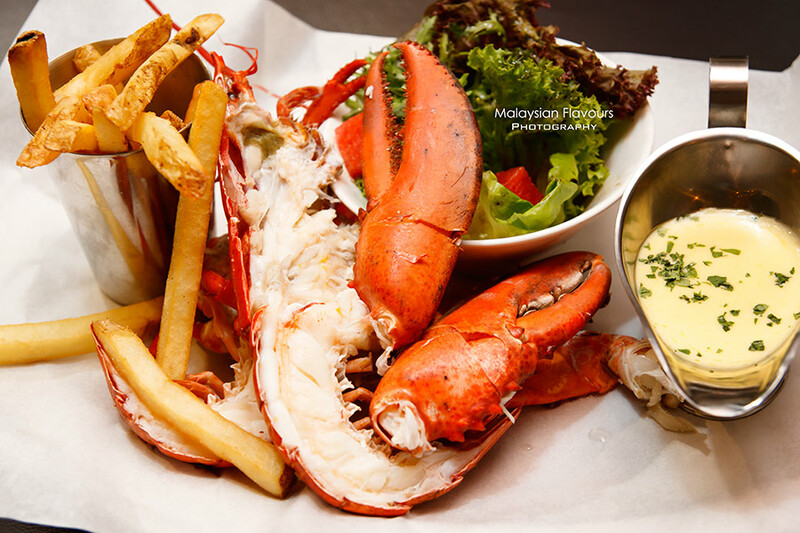 Each grilled/steamed whole lobster comes with Straight Cut Fries, Chef’s Salad and Herbed Butter Sauce. We don’t really need the Herbed Butter Sauce, as the lobster itself is already delicious enough when eating on its own. But pairing it with sauce adds on different flavours, reaching for a creamy, buttery twist. Come for the lobster, stay for the cocktails. That’s why Pince & Pints is named so. “Pince” indicates lobster claw while “Pints” represents alcoholic drinks (e.g. a pint of beer). 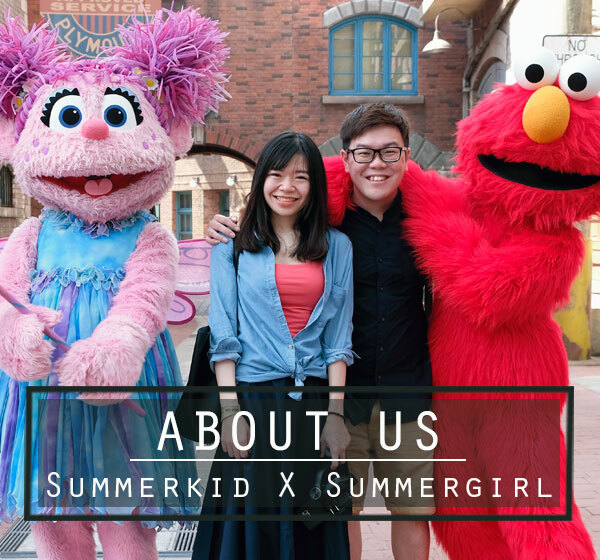 The Funny Story- Summergirl had been telling her friends: ” Do you know that famous “Pins & Pins” lobster shop from Singapore ah? Very famous wer, now opened in Bangsar liao. They only sell lobster one, the one with long queue. Very big lobster you know? Must try ler“. She ended up having a hard time (*and of course the wrong way) pronouncing the restaurant’s name in “Pins and Pins” for many times until few of our blogger friends corrected her: “Hello darling, it should be Pince (Pint-se) and Pints (Pines) ok? Cannot be “Pins & Pins” la“. Ahahahhaah. OK, now she got it. Jin pai seh. Apologize on that. Summergirl, please bury your head in English Oxford Dictionary and start revising your English. Back to Pince & Pints beverage list. 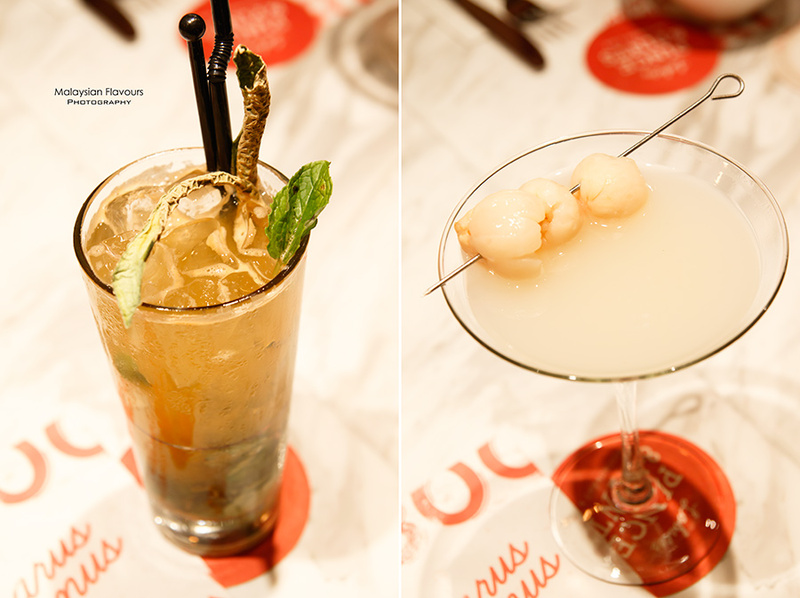 They have a long selections of drinks from cocktails, wines and mocktails. Cocktail is highly recommended. We tried out 500 Days of Summer, a blend of gin, fresh lemon, lime, mint, housemade melon soda. Well, know the movie, imagine the taste. Other varieties with tequila, gin, vodka or bourbon-infused are available too. Comments: To be frank, the thing that many diners concern most is the price of food before dining in a restaurant. 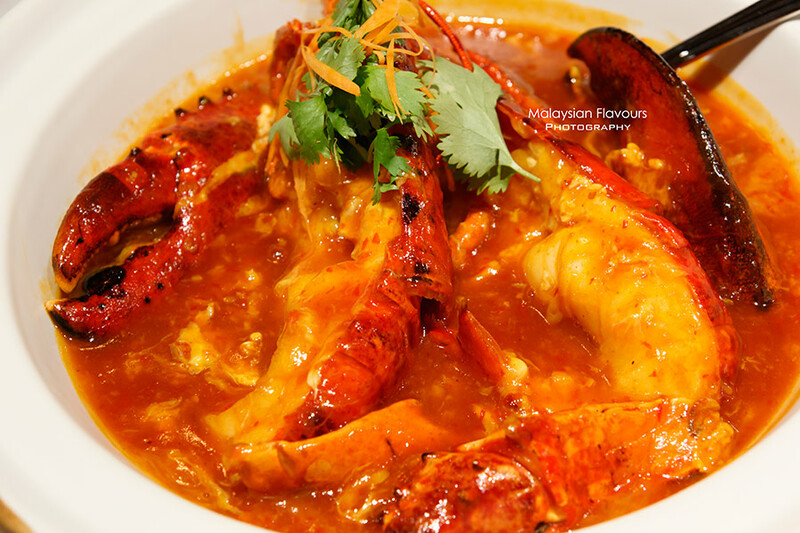 With RM158++ for a dish, it is considered whopping expensive for normal dinner. But it is lobster, air-flown, fresh, live. It somehow worth the pennies you pay for. It may not be a eatery you can visit very often, but definitely worth visiting for celebrations like anniversary, birthday, or when salary received (you know you have to reward your one month’s hard work). 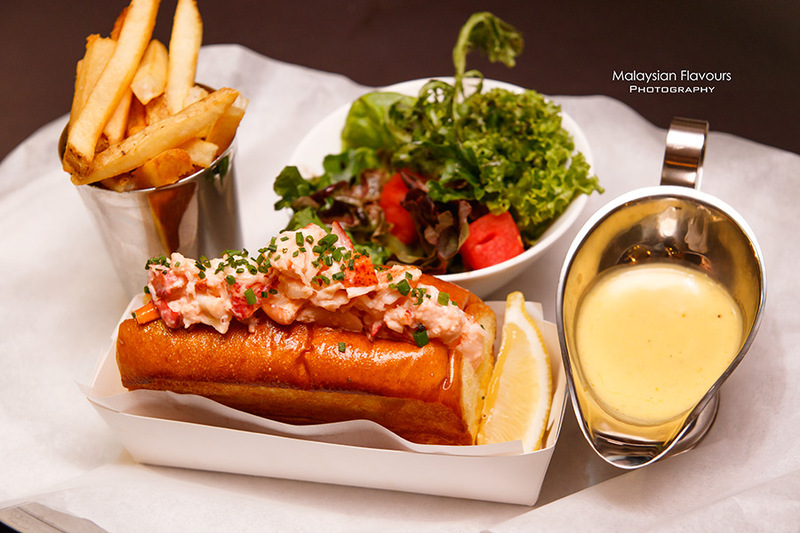 Do try out Chili Lobster and Lobster Roll if you happened to pay Pince & Pints a visit.